Orbital Direct are one of the premier couriers in Loughborough. Their website was out of date and didn’t show the company in a great light. They wanted a new website and brand which would help to attract new clients for their services and also display some of the new services. We created a WordPress based website with some bespoke graphics to help the website stand out. 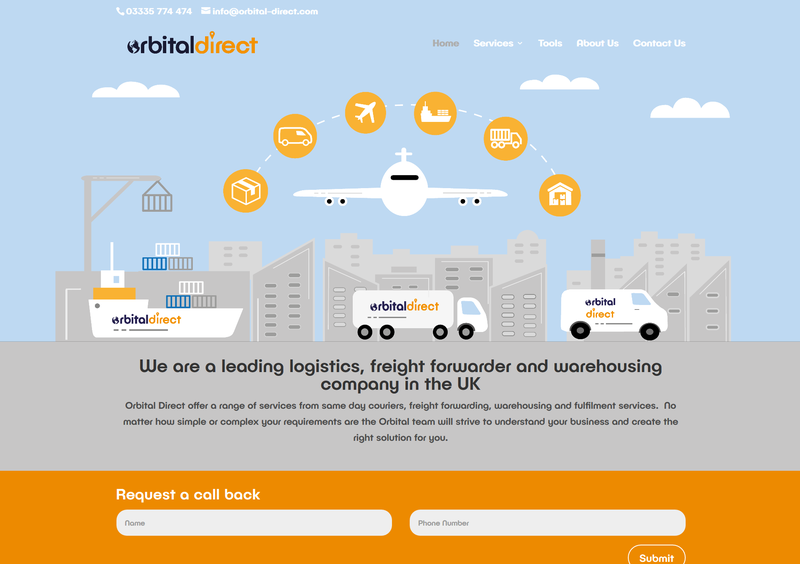 We worked very closely with the marketing staff at Orbital Direct in order to create a website which would create a friendly but professional feeling. Danny at DLZ design has been very patient with our project and worked with us to get exactly what we wanted. Gave us great advice and guidance throughout the whole project. We look forward to working with DLZ again on future projects.